May 2016 | What's the Point? Welcome to this month's Blogorail Green Loop. Today we are taking a tour of the lands at Walt Disney World's Magic Kingdom Park. When does your Walt Disney World Resort vacation truly start? For some, it is the moment you step onto the plane or get into your car. For others, it's the moment you pass under the Walt Disney World sign and enter the property. For me, however, it's the moment I step onto Main Street, U.S.A.
Main Street, U.S.A. is themed after Walt Disney's hometown of Marceline, Missouri during the 20th Century. Walt loved the simplistic, Mom and Pop feel to his hometown, and wanted to pay homage to this special time in his life. You'll find all the workings of a Main Street: a barbershop, a Town Hall, an ice cream shop and a confectionary. Walt Disney wanted you to escape when you came to his theme parks. One of the gripes he had about Disneyland is that you can see the freeway and other outside businesses from inside the park. At Walt Disney World, Walt had what he liked to call "the blessing of size." Everything was meticulously planned so you could be fully immersed in the story. Well, it's simple really. Think of a show. If a show is about to begin, there's a curtain blocking your view. 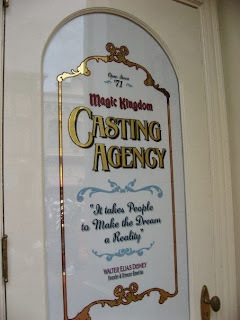 The curtain in the Magic Kingdom story is the Main Street Train Station. It blocks your view. Once you enter from below the train station, the curtain rises and you see the main event. The main event? Cinderella Castle, standing tall and shining in the sun. 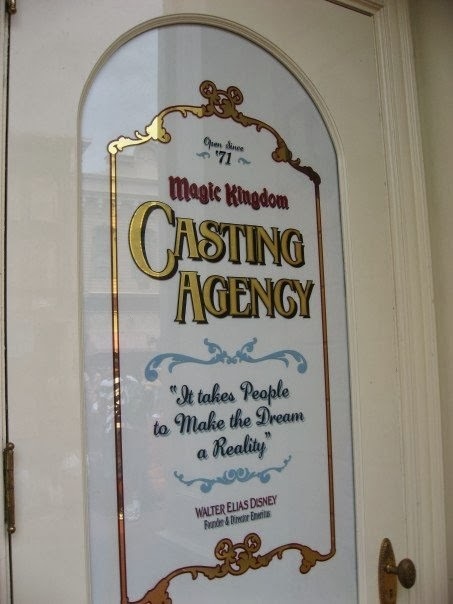 On the windows of Main Street, U.S.A. is where you'll find the opening credits. On each window are names of people who worked to get the park built, or played a critical role in the The Walt Disney Company. People are often surprised that Cinderella Castle stands at a mere 189 feet. 189 feet? That doesn't sound so tall. It looks so much bigger. I've heard this argument so many times, and it isn't your imagination. It was designed this way. How? It's simple, and it's genius. The buildings on Main Street U.S.A. are built with a forced perspective. Therefore the buildings at the entrance of the Magic Kingdom are taller than the buildings at the end, so the castle looks bigger than it really is. Also of note: the actual street is on a slight incline heading toward the castle. Therefore, it seems longer in the morning and shorter at the end when your feet are screaming. Forced perspective is also used for the second level of Main Street. While the first level is built full sized so you can enjoy the shops, the second level is much shorter. What is there to do on Main Street, U.S.A.? Main Street is also home to the Emporium, which I like to describe as the Target of Disney retail stores. You can find pretty much any souvenir you want there. On your next trip, don't run down Main Street. Take some time and enjoy the sites and sounds! 1st Stop - What's the Point? | Main Street, U.S.A.
5th Stop - My Dreams of Disney | Tackling Tomorrowland at Night!